Prosthetic graft or endograft infection is a rare but devastating complication of aortic surgery. The incidence of infected descending and thoracoabdominal prosthetic grafts is reported between 0.5 and 1.7%, including early and late infections with and without aortoesophageal fistulas. 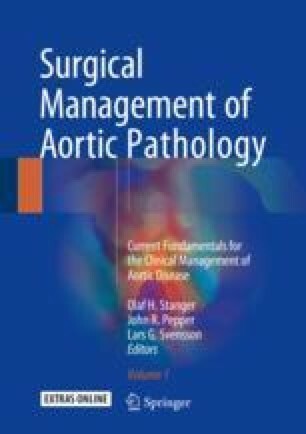 The prevalence of infected aortic endografts is 0.25–4%. Improvements in surgical techniques, endovascular therapies as bridging procedures and perioperative care have led to improved in-hospital survival. Replacement of the infected graft with pedicled flap coverage leads to reasonable long-term results. Additional studies are needed before widespread adoption of graft preservation techniques.